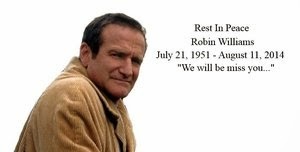 When the news hit people on August 11th 2014 that Robin Williams had sadly passed, it was so unexpected and i was shocked...and saddened. 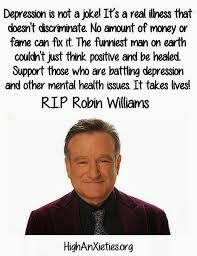 I knew he had problems with depression and struggled at times. As a person who has depression the only thing i could think when i read it was "he must have been in such a dark, low place that he could see no way out of to do this". 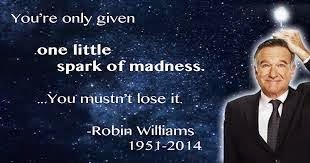 I also thought it was sad that it took the death of a renowned funny, genuine and loved actor for the illness to be brought to light that it can be life threatening. Rest in Peace Mr Williams. I'm sorry you're gone, but you'll always be around through your great films and always think of you when we hear "Na Nu, Na Nu" and smile. 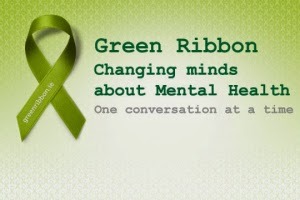 I think we have a different colour here for mental health awareness but you're right, it rarely gets discussed until it's deemed newsworthy by the media. I've lost a few friends who just didn't get that thinking positive is a cure and don't understand that you can have clinical depression *and* a sense of humour in the same brain!